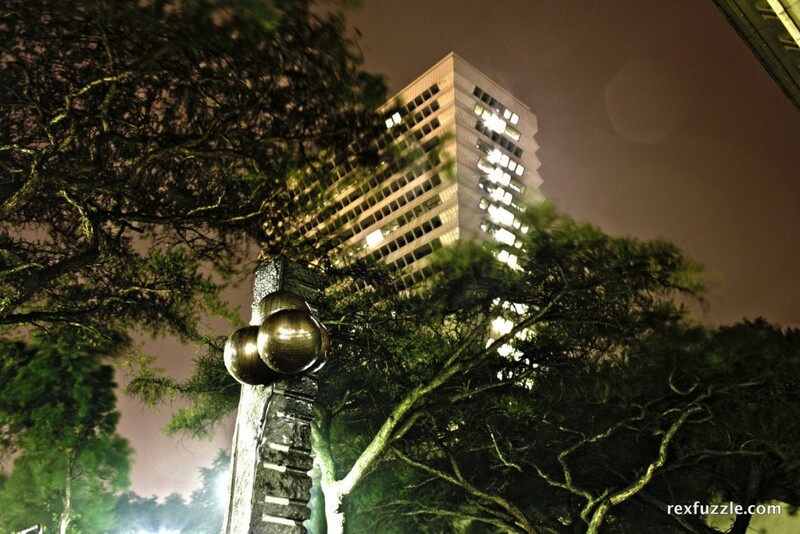 Ok, this one is of campus (University of Pretoria) and took a bit of editing to get to looking like this. It is actually a combination of about 3 shots taken at night at different exposures and then combined to get the best lighting effect, this is called HDR. It has been raining and the wind blowing, hence shiny parts and blurry trees. The balls are a part of a set that commemorates the centenary year of the varsity. So after a recent formal event at which the table decorations were "beautified" using glitter people may have decided that it was funny to try to get it on each other.